Dr. Matsumura is certified by the American Board of Surgery, with a certificate of added qualifications in vascular surgery. 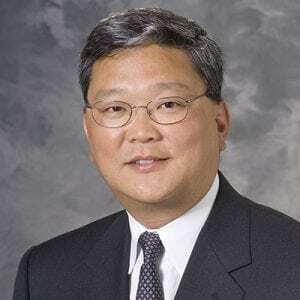 He is the Chairman of the Division of Vascular Surgery at UW School of Medicine and Public Health. Dr. Matsumura specializes in less-invasive endovascular techniques for the treatment of vascular diseases. His expertise includes treatments for aortic aneurysms, carotid disease, aortic dissection, peripheral arterial disease and other vascular disorders. Dr. Matsumura provides a wide range of services including Abdominal Aortic Aneurysm (AAA) Repair – Endovascular, Abdominal Aortic Aneurysm (AAA) Repair – Open, Amputation, Angioplasty With Stent Placement, Carotid Endartecotomy, Carotid Stenting, Extended Efforts in Limb Salvage, Peripheral Artery Bypass, Thoracic Aortic Aneursym – Endovascular, Thoracic Aortic Aneursym – Open, Thoracic Outlet Syndrome Treatment, Varicose Vein Treatment. Dr. Matsumura’s research is devoted to the development and testing of novel devices and techniques for the treatment of vascular diseases, including stents and stent-grafts for the repair of aortic and thoracic aneurysms. He is the national principal investigator on a number of multi-institutional clinical trials evaluating investigational devices. In addition, he is renowned for extensive training programs that allow other vascular specialists to learn new endovascular techniques for treating patients in their own practices. Derivation and validation of thoracic sarcopenia assessment in patients undergoing thoracic endovascular aortic repair. Complete Lower Extremity Revascularization via a Hybrid Procedure for Patients with Critical Limb Ischemia. Secure Provider-to-Provider Communication With Electronic Health Record Messaging: An Educational Outreach Study. ACR Appropriateness Criteria® Thoracic Aorta Interventional Planning and Follow-Up.